All pedigree dogs born in the United Kingdom have to be registered with the Kennel Club. Any puppy being sold unregistered is not technically recognised as a pure pedigree. The Kennel Club was formed in 1873, shortly after the very first dog show was held in Birmingham. Early on, rules were raised to govern and unify the organisation of dog shows. Today the blue print of the Kennel Club organisation is copied world wide as it stands for what is good and fair in the world of dogs. Although strongly opposed, it was decided early on that the names of dogs had to be registered in order to identify them individually. Pedigrees came along later as further documented proof of each dog’s parentage. The Stud Book was devised whereby all dogs that had won places at the previous years show were listed. One reason for canine registration was because of the confusion of so many dogs adopting the same name. Today depending upon registration numbers, dogs have to have won at a certain level before they are listed in the Stud Book. The Stud Book is still an important part of the Kennel Club and exhibitors are proud to have their dogs registered in these yearly tomes. The Kennel Gazette is the formal publication of the Kennel Club. First published in 1880, it has remained a monthly publication ever since. Today this magazine is used by every show and breed club secretary to keep abreast of canine and club legislation. With registration, health and other data it is always an interesting read for the canine enthusiast. To be a member of the Kennel Club means that you are recognised as being an important person in the world of dogs. Membership is limited and controlled tightly by the secretary of the Kennel Club. There are also affiliate memberships for those interested in the canine world. 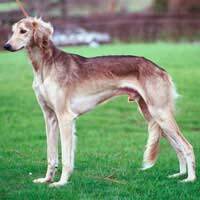 Before a breed can form a new breed related club it must have permission from the Kennel Club and agree to be run within the guidelines of the KC. All dog shows and canine events in the UK have to be registered and licensed with the Kennel Club. Any society organising an unregistered event can be severely penalised and possibly banned from ever organising another event. All pedigree dogs registered with the Kennel Club are not allowed to enter any show that is not recognised by the Kennel Club – this includes even the smallest village fun dog show where pedigree classes are advertised. All breeders or potential breeders can register their own ‘affix’ this is a name that will only be used by them and can be added to the end of any dog they purchase or put at the beginning of a name when it is registered with the Kennel Club. These kennel names can become world famous depending on the success of the breeder in the show ring and is used to advertise the quality of each kennels progeny. A breeder has to register a litter of puppies after birth. A legal document signed by both breeder and stud dog owner is supplied to the Kennel club along with a list of names for the puppies. Once it has been checked that the names are suitable and have not been duplicated individual registration certificates are issued. When a puppy is sold the ownership is transferred to the new owner on payment of a small fee to the Kennel Club. An unregistered dog cannot enter a dog show and its puppies cannot be registered with the Kennel Club. Although this is widely known there are still breeders who charge exorbitant amounts of money for puppies that are no more than mongrels. Before an owner can exhibit a dog they have to have transferred the dog to their name. If this is still in progress when the entry is made the initials TAF have to be added to the name – ‘transfer applied for.’ When signing a show entry all exhibitors are agreeing to abide by the rules of the Kennel Club. For anyone owning a dog registered with the Kennel Club, they become part of the world of dogs aiming not only to promote dog ownership and to uphold the history of their breed but to continue the work of twelve men who met to form a canine club over one hundred and thirty years ago.